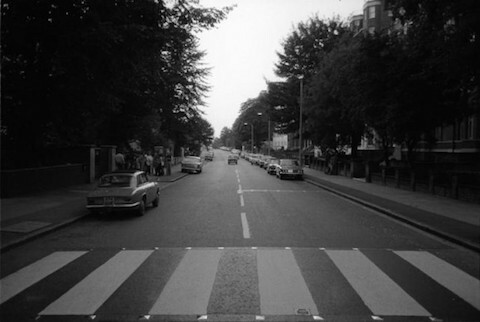 The website of Abbey Road studios has an EarthCam trained on the intersection of Abbey Road and Grove End Road, right outside its stately Georgian Townhouse. You can monitor the site all day and night if you like, and the prospect of doing so seems no crazier to me than indulging a fixation with Paul is dead conspiracies. It’s a magical place, as likely to inspire awe as blind obsession. Although it has recorded artists from Paul Robeson to Lady Gaga, the historic studio acquired its shrine status from one moment only—The Beatles final recorded album, Abbey Road, and its infamous cover shot. Sketching out important shots like these is common practice. 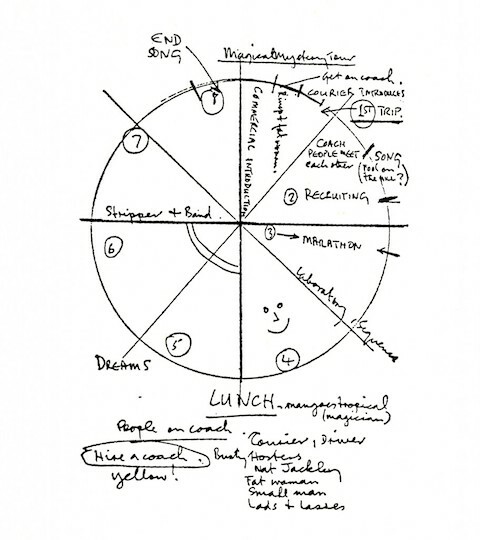 For example, above you can see Peter Blake’s 1967 outline for the Sgt. Pepper’s Lonely Hearts Club Band cover art. 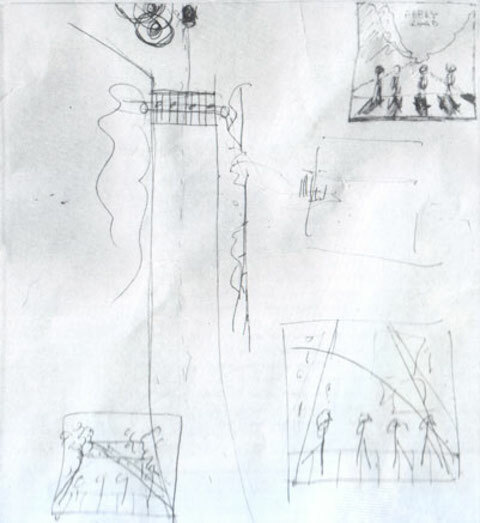 But the Abbey Road sketch is further evidence of McCartney’s guiding hand in The Beatles’ image-making. Of Sgt. Pepper’s, John Lennon went on record as saying of the concept that “Sgt Pepper is Paul.” In this case, McCartney’s idea for the cover was instrumental in Blake’s eventual design: “a presentation featuring a mayor and a corporation, with a floral clock and a selection of photographs of famous faces on the wall behind The Beatles.” McCartney circulated a list among the band members, asking them to list their choice of celebrities. Many of the suggested figures ended up on the cover. Great post. Just one question: Why do you call the Abbey Road cover shot “infamous”? Thanks! In-famous is when you’re more than famous. This Abbey Road cover shot is not just famous, it’s in-famous.